Jane Farrell meets with ‘Tender’ author Belinda McKeon. Belinda McKeon, journalist, Assistant Professor of Creative Writing at Rutgers University, and twice published novelist, has recently edited a short story collection titled A Kind of Compass: Stories on Distance. This latest publication features stories by Kevin Barry and Sara Baume and contributes to Ireland’s ever-increasing claim to a land most fit for the short story form. McKeon’s novels are firmly Irish in both style and subject and interrogate the tension between traditional rural and educated urban Ireland – grandiose stereotypes but ones which are fitting for analysis, and which McKeon does successfully and without bias. 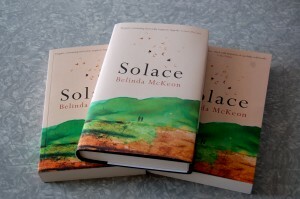 McKeon’s debut novel Solace (Piacdor, 2011) won the Faber Prize that year and was voted Irish Book of the Year as well as being shortlisted for the James Tait Black Memorial Prize. Her second novel Tender (Picador, June 2015) was shortlisted for novel of the year at the Irish Book Awards. Her essays and journalism have appeared in the New York Times, the Paris Review, the Guardian, A Public Space and elsewhere. With such a list of accolades, I was interested to engage McKeon in a discussion about the craft of writing. Of course, with McKeon’s role as Assistant Professor of Creative Writing, she recognises, and is familiar with, the benefit of such courses for the development of a writer. The decision, once made, is clearly not one which can be regretted, in McKeon’s opinion, “once in the workshop, you learn how to be a better reader and editor of your own work in progress, and you’re forced to produce work because of deadlines.” Of course, the suitability of such courses is not something she thinks is universal, McKeon grants that some people prefer to structure their own writing, but to do so requires “the willpower and the confidence to structure your own working life to make room for writing. I wasn’t able to do that in my mid-twenties; I was a busy journalist, and my own work was receding. Workshops helped a lot. When I teach, I see all levels of writers. Every one of them spends the semester writing and reading, and I think that’s an invaluable experience.” No further recommendation is needed. 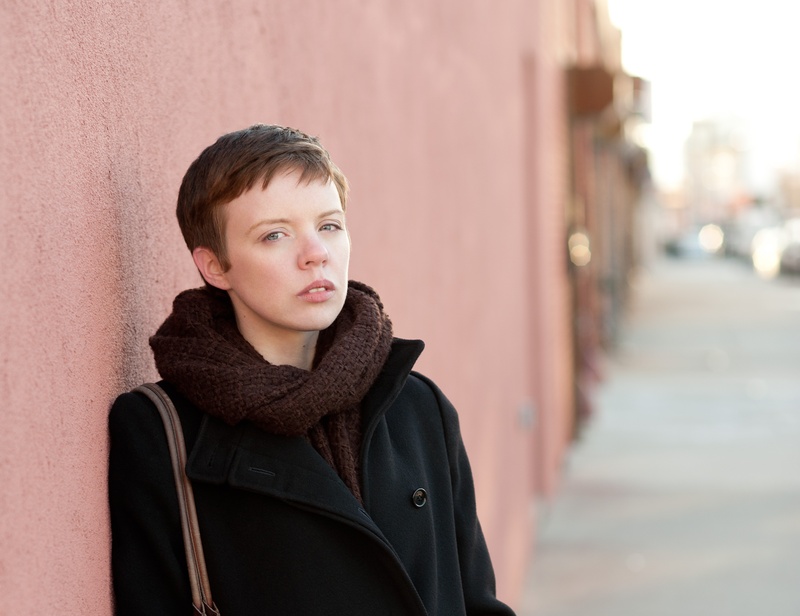 In terms of themes, if we can attempt to pigeonhole her work into them, McKeon grants that her novels are set “pretty firmly in the Irish mould,” a cast that doesn’t need elaboration. Solace is a “the story of a father and son, a farmer in the midlands and an academic in Dublin, and of the tensions between them.” Parental control and abandon create a dichotomy familiar to those in such familial constructs. Whereas in Tender, “the protagonist is a young woman who becomes obsessed with her closest friend, a gay man who’s having difficulty coming out. The two main characters, Catherine and James, are both from rural Ireland and have moved to Dublin, but for me, the rural-urban tension is much less a part of the novel than the tensions of the human mind and the human heart.” The “cultural inheritances” we have assumed have ingrained young Irish people with fearfulness in regards to striking out for a unique identity. These fears, and the psychological perturbation that goes hand in hand are the main subject of this novel. Reading the story transfers these anxieties into a self-reflexive engagement with contemporary Ireland, to what extent are we more free now with recent developments in this regard. Denial is something which McKeon’s work treats with sensitivity and complexity. The reader is twisted into a mosaic of emotions which is often torturous but illuminative. Theatre is another avenue with which McKeon is familiar: “I’ve written for the stage a few times – I’m on a deadline to get a new play to the Abbey commissioning department by the end of this year.” In fact, John Boyne has suggested Tender’s suitability for the stage. As an art form, they’re “entirely different beasts” but when reading the novel, it is easy to imagine how successful an adaptation could be. Upcoming work for McKeon includes an essay on “guiltily sneaking in to hear posh Anglican choirs in New York churches in the first issue of the new arts anthology Winter Pages (edited by Kevin Barry and Olivia Smith)”. If interested to pursue this author and her work, her twitter (@belindamckeon) and website (www.belindamckeon.com) provide ample intelligence and information to satiate that appetite.